The Tuesday version of MRM’s Daily Bite features NCR Corporation and Grubhub, MOD Pizza, Cameron Mitchell Restaurants (CMR), Pizza Hut and Toyota and McIlhenny Company. NCR Corporation and Grubhub are teaming to help restaurants capitalize on online ordering and delivery with the Aloha Platform-of-Sale (POS) integration. Following an agreement earlier this year, Grubhub was the first to bring the NCR Aloha POS integration of orders and menus for third-party delivery to market. Restaurants need technology automation to leverage the delivery trend with minimum impact to their existing operations. Potbelly Sandwich Shop and On The Border Mexican Grill and Cantina are two restaurant brands that are live with the integration in select locations and already benefiting from increased efficiency and quicker online order confirmation times, execs report. Restaurants that use Grubhub as an ordering channel can manage orders from the core POS platform, helping operators make smarter use of staff, save time on menu updates, free up space on the crowded counter, view their financials and accounting in one place, and ultimately, generate more orders in their locations. The majority of mutual NCR and GrubHub customers are able to leverage this direct integration with minimal effort on their part, making for an easy to deploy solution. Grubhub is also the first partner to leverage NCR’s newest Catalog API, which synchronizes the POS with the restaurant’s Grubhub menu, removing a historical pain point for restaurant operators. 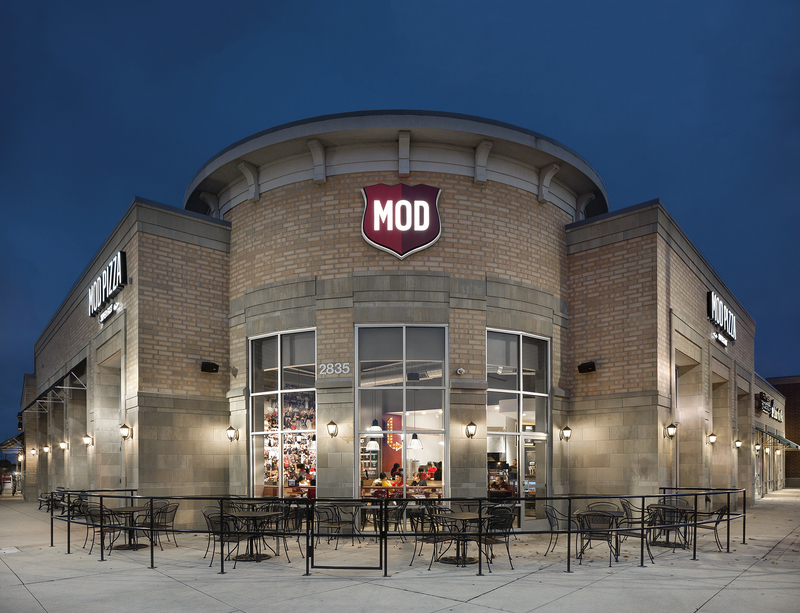 MOD Super Fast Pizza Holdings, LLC raised $33 million of additional equity and closed a new $40 million credit facility. The latest equity funding brings the company’s total equity capital raised to date to more than $185 million. These financings are expected to support MOD’s continued rapid growth in 2018, bolstering its presence in its existing markets across the U.S. and U.K. The company recently opening of its 300th system-wide location. The $33 million equity investment was led by existing investors, including PWP Growth Equity and Fidelity Management & Research Company. The $40 million credit facility was arranged by Keybanc Capital Markets, Inc. and SunTrust Robinson Humphrey, Inc., as joint lead arrangers and book runners, and joined by Raymond James. The company recently opened its 300th system-wide location. In 2017 alone, MOD opened 110 stores system-wide, growing its store base by over 57 percent as it expanded into seven new states. Cameron Mitchell Restaurants (CMR) will establish Columbus’ first-ever food hall in the Budd Dairy building in the Italian Village community near downtown Columbus, top video. Scheduled to open in winter 2018, the food hall will license spaces to between eight and ten entrepreneurial, chef-driven restaurant concepts. “The Budd Dairy Food Hall will position other new restaurateurs to realize their potential, which allows me to pay the generosity from our community forward to a new generation of entrepreneurs,” said Cameron Mitchell, CMR founder. The Budd Dairy Food Hall will be an incredible community asset, because it will support and encourage the growth and development of restaurant start-ups. As with all CMR concepts, local expertise is a cornerstone of its development philosophy.The Budd Dairy Food Hall is a partnership capitalizing on the deep real estate knowledge of local developer Kevin Lykens and the vast hospitality, food and beverage expertise of CMR. Lykens will oversee construction and renovation of the Budd Dairy building, and CMR will curate the selection of artisan restaurant operators, provide day-to-day management, and provide all related services for the food hall’s culinary, entertainment and beverage programs. Across the United States, 140 food halls have been built or will open in the next 18 months, reflecting the trend toward this unique approach to leveraging the increasing appeal of local and artisan restaurants, combined with dynamic entertainment, readily-available technologies, and a consumer-first strategy of engagement. Food halls not only appeal to new generations of millennials and young urban professionals seeking a vastly different dining environment, but they also create incubator platforms that are more affordable and have lower risk than a traditional bricks-and-mortar restaurant. “The Budd Dairy Food Hall will be an incredible community asset, because it will support and encourage the growth and development of restaurant start-ups, and that really gets us excited about this project,” said Weis. “Local restaurateurs looking to bring a new concept to market or to grow an existing model, such as a food truck or home-based foods business, can secure space in the food hall with low overhead and immediately engage with a diverse audience of local food adventurers.” Weis sees opportunities in the food hall to nurture and grow both entrepreneurs just entering the restaurant space, as well as more seasoned restaurant operators seeking to launch a new concept. The total interior space dedicated for the food hall in the Budd Dairy building exceeds 14,000 square feet, plus a rooftop deck. On the first level of the hall, which is about 11,000 square feet, will be a main bar, community seating and the food vendors. A stage on the main level will be used for live performances, including DJs, bands and other local artists. The hall’s second floor will focus more heavily on entertainment, with a smaller bar, interactive games and the option of reserving the entire space for private events catered by the food hall’s food vendors. 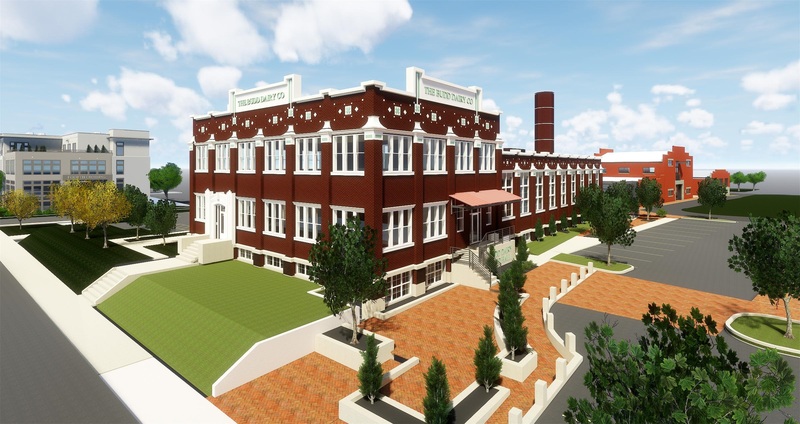 A rooftop deck, in season, will provide additional entertaining spaces, community seating and a bar. Ample onsite parking will be provided. While individual concepts will employ their own teams, CMR will deliver their unique brand of hospitality and management to the entire food hall. Special events, private functions and marketing of the Budd Dairy Food Hall will be led by CMR. Project leaders envision the food hall will swiftly become a regional travel destination and popular local attraction. Weis said a leading focus of the next few months for CMR is discovering the entrepreneurial artisan operators and restaurateurs interested in joining the food hall to develop their concept. A committee of CMR executives will oversee the application process and make final determinations about the first licenses issued to operators. CMR also intends to provide continuing education opportunities for artisan operators on topics such as infrastructure development, capital investment, systems and other issues that face growing businesses. Food vendors interested in applying for the Budd Dairy Food Hall may fill out an application online at www.budddairyfoodhall.com. Updates on the project will be available on the website. 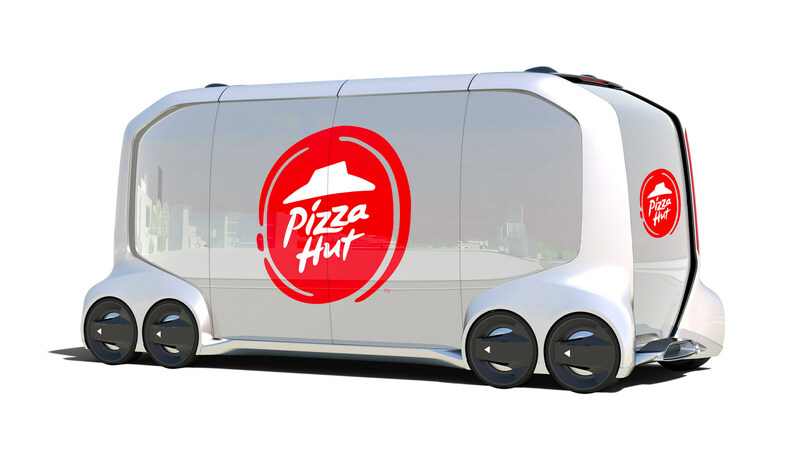 Toyota®, and Pizza Hut® forged a partnership to explore the future of pizza delivery and other initiatives to improve mobility around the world. Toyota unveiled designs of a self-driving concept vehicle called e-Palette and Pizza Hut is one of the founding members of a new “mobility service business alliance” that also includes Amazon, Didi, Mazda and Uber. The announcement follows a number of initiatives from Pizza Hut including a new delivery algorithm that drastically improves the accuracy and reliability of deliveries, new delivery pouches able to keep pizzas up to 15 degrees hotter and a pilot test of beer and wine delivery in the U.S. The new mobility service business alliance will leverage Toyota’s proprietary Mobility Services Platform (MSPF) to develop a suite of connected mobility solutions and a flexible, purpose-built fully-autonomous vehicle. The alliance will create a broad-based ecosystem of hardware and software support designed to help a range of companies utilize advanced mobility technology to better serve customers. Toyota plans to implement testing of the e-Palette Vehicle Concept in several regions, including the United States, as early as 2020. For Pizza Hut, the e-Palette solution could support the company’s delivery business in the future or, given the flexibility of the e-Palette design, could even serve as a mobile kitchen in areas of the world where such an experience would match consumer interests. Along with working together on autonomous delivery solutions, the companies will immediately begin working on plans to improve the existing driver/delivery ecosystem. Starting in early 2018, Pizza Hut and Toyota will jointly test dual communication technology in Pizza Hut delivery vehicles to capture data on driver patterns and behaviors. Better data will result in improved performance for both companies, optimize the safety of delivery, as well as enhance delivery operations. Pizza Hut is committed to easier, more convenient customer experience with an emphasis on delivery and digital ordering. In the last year, the company launched voice command ordering through Alexa, the first pizza tracker that includes text messaging and Hut Rewards, the only national pizza loyalty program that awards points for every dollar spent on pizza. Internationally, Pizza Hut recently created a startup: Pizza Hut Digital Ventures to explore new ways to own the modern pizza experience all over the world. PHDV is responsible for the new web and App experience in the United Kingdom. In 1868 Edmund McIlhenny harvested his first tabasco pepper crop from which he created a piquant sauce to enliven the flavors in foods for family and friends. The creation of this simple sauce would unwittingly change the way the world eats forever. Today, 150 years later, the same three ingredients that made his TABASCO® Sauce – tabasco peppers, salt and vinegar – are aged and bottled by Edmund’s family on Avery Island, the process virtually unchanged. On the occasion of its 150th anniversary, McIlhenny Company, the maker of TABASCO® Sauce, will mark this historic milestone with a yearlong celebration dedicated to the people who have made “that famous sauce Mr. McIlhenny makes” a staple on tables, indispensable in kitchens and an essential ingredient in classic and contemporary recipes worldwide. The iconic red-capped bottle with the diamond label is sold in more than 185 countries and territories and labeled in 22 languages and dialects. This instantly recognizable pepper sauce is just as at home in main street diners, hole-in-the-wall dives and the finest dining establishments as it is in the home pantries, kitchen tabletops and handbags of food lovers all over the world. The 150th anniversary celebration will kick off in New Orleans with a limited engagement of TABASCO: A Burlesque Opera, a comedic burlesque dating to the late 19th century that hasn’t been performed in its entirety in more than a century. Tickets for the show, produced by the New Orleans Opera Association, are available to the general public here for performances scheduled for January 25-28. The festivities will continue on January 28, 2018, as many of New Orleans’most notable chefs and culinary institutions take part in the first ever TABASCO® Week in partnership with the New Orleans Tricentennial Commission, which will commemorate the 300th anniversary of the city of New Orleans this year. The official holiday will include TABASCO® Brand chef partnerships, exclusive menus, special dishes and more. From New Orleans, the birthday party hits the road to celebrate the role of TABASCO® Sauce in the global kitchen. 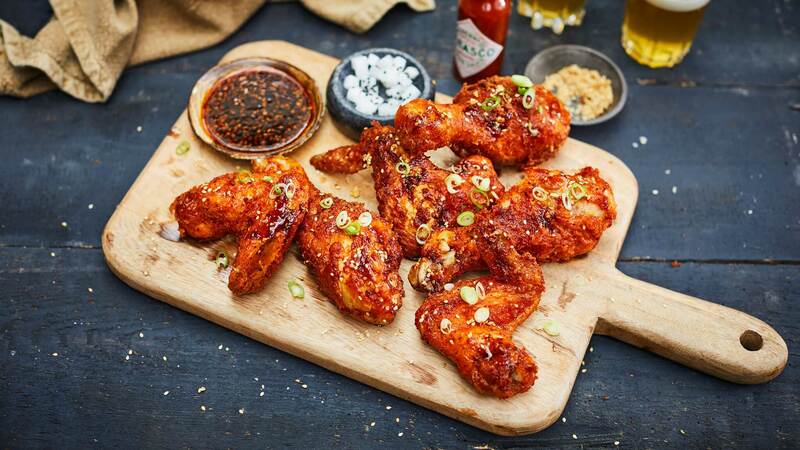 McIlhenny Company will invite fans inNew York, London, Shanghai and beyond to events big and small, where they can taste the exciting and unexpected ways the world’s top chefs and creative cooks use the pepper sauce.